There’s always a period of adjustment for the foster placed in a new home. However, with consistency, patience and a set routine, it isn’t long before the “new dog” (literally and figuratively) just shines. Our latest foster, Leo, is no exception. The first couple days in his new home were a little rocky for all involved. Jody, f/k/a Jasper and previously adopted from our group, definitely wasn’t happy with the prospect of a new roomie (not entirely unexpected). Leo wasn’t sure what was going on. Joan and Rich were left scrambling to come up with ways to integrate the two that didn’t include Jody growling (we have links and articles just for this scenario). Days three and four saw “the boys” almost joined at the hip. While they weren’t playing together, they were following each other around the house. If one moved, so did the other and vice versa. Yesterday I got word that Jody and Leo were, indeed, playing together and racing through the house. Given what I knew of the two dogs, I didn’t think it would take too long before the canine bond was established between these two. Here’s to Leo’s new life with Joan, Rich and Jody! Many thanks to Debra and Mark of Berthoud for fostering this boy. Leo isn’t the only winner with this adoption. 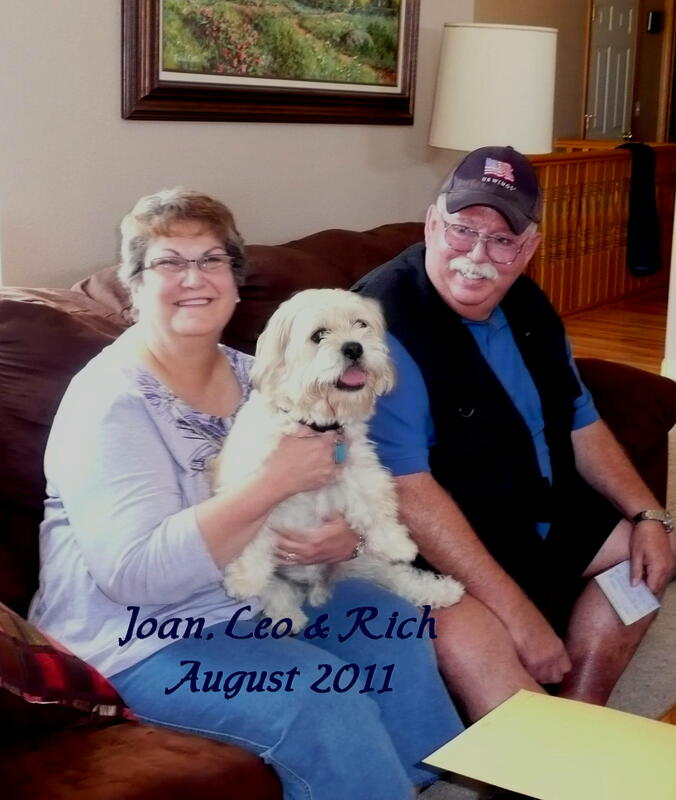 Rich and Joan have volunteered to help out in their area once they get moved and settled into the Canon City area. Likewise, Tootsie’s new family — Jane and Jerry — have also stepped up in southern Wyoming for transports, pulls and home visits. “Local” is a relative term out here in the west and can mean 30 minutes to three hours for driving time. Having volunteers along the Front Range means rescue can be more effective. 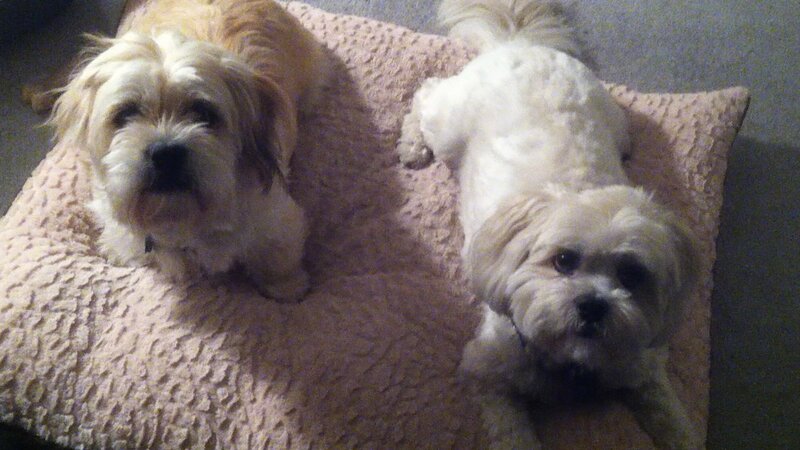 Our sincere thanks to Leo and Tootsie’s families for their involvement … welcome to rescue!